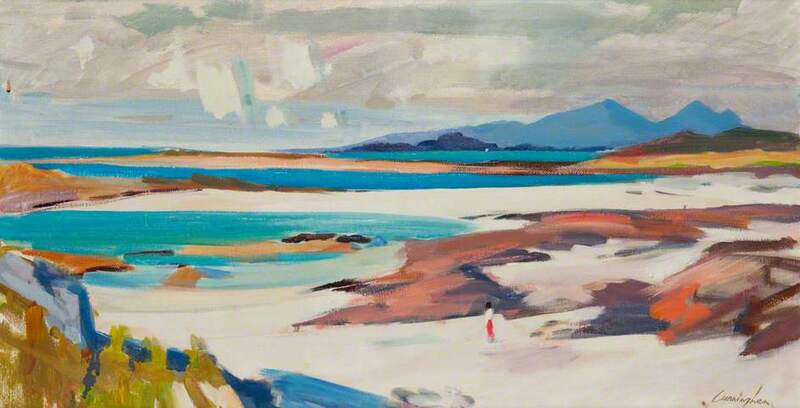 Coastal landscape with a single standing figure. 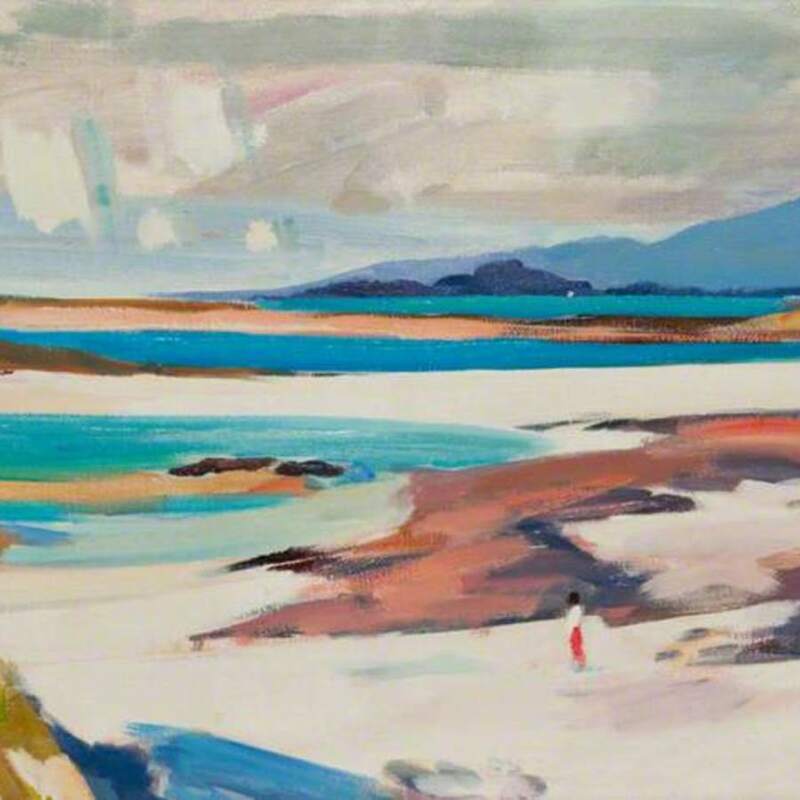 Cunningham; John (1926-1988); Artist, “Sanna Bay, Ardnamurchan,” Heritage, accessed April 23, 2019, https://heritage.rcpsg.ac.uk/items/show/465. Description: Coastal landscape with a single standing figure.